How Can Parents Instil A Love Of Music In Kids? Dozens of studies have shown the positive impacts of music on a person whether young, old or a kid. You would think, why should you do this? Why shouldn’t you let your kid decide whether he should have music in his/her life or not? Well, you will definitely want to do it once you know the benefits. Music boosts the brainpower and memory, it brings up creativity, it can prove to be a confidence builder, and these are just a few from the list of benefits. You might have changed your mind now. The next thing, how do you make sure, you are instilling a love of music in kids. Following are some steps you can follow. It is fun, you and your kid would love playing with music. Do not just keep the music to yourself. When you have a very small kid, listen to what you love and develop that taste or music in your toddler. It would be beneficial for both of you. In order to make it sound more fun, bring your turntable to use. Get one if you don’t have it already. When you go buy a turntable, make sure it has built-in phono preamp because only stylus and cartridge cannot produce a high-quality sound. Sometimes, it doesn’t come with the deal and you have to buy it separately. You love a particular song or not also depends on the sound quality. So, you have to keep the ‘Phono Preamps’ in mind when getting a turntable. These are of different types and different prices that vary according to the feature each one offer. Some of the best are Vincent – PHO-700, Cambridge Audio CP2 Phono Preamplifier – Black, little bear, Pyle PP999 Phono Turntable Pre-Amp, Emotiva Audio XPS-1 Phono Preamp, Pro-Ject Phono Box E Phonograph Preamplifier, and Mani Phono Stage. Basically they are all very similar. You just need to choose best suited for you. This option is not only for those who can sing well. You will be singing for your kid and he/she doesn’t care whether you are a good singer or not. You can sing anything you want. Kids enjoy listening to their parents’ voice. You can simply choose the songs from your own childhood. Besides, you can sing your kid’s favorite poem. These all would affect your kid positively. In order to spice up the fun, you can make up your own songs. Learn to play musical instruments and let your kids play them with you. It can be a magical experience. He/she would have become a pro by the time he/she enters adulthood. 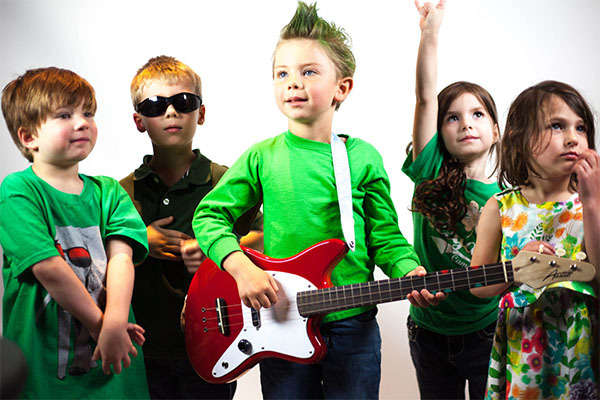 Kids can choose music as a career when they are grown up. Seeing you playing instruments would inspire children. If you are not good at playing musical instruments, you can hire a music teacher for your little one. It would encourage them to learn more with every passing day. Everyone enjoys dancing, so would you kid. Why don’t you shake your body a bit and let the both of you enjoy the moment? Moreover, this is a good way to encourage love for music. Activities like this enable you to spend quality time with your children. Extra activities are superb for children. When your child takes on an extra activity or hobby they learn so much and develop so much. It can, however, be tough for parents to figure out what hobbies or activities to focus on when there are so many different activities to choose from. Today children can enjoy a great variety of activities that are designed especially for them. These activities can include things like gymnastics, archery, sports, art, dancing, music, singing and so much more. It is hard to figure out what type of hobby or activity will benefit your child the most when there are so many different things to choose from. It also isn’t a good idea to take on too many different activities since children can easily get confused or become frustrated due to over stimulation. When children focus on one or two hobbies alone, they learn to master certain skills and become much more proud of their accomplishments. The ability to play a musical instrument is one of the best skills you can possibly develop in a child. Just consider for a moment the number of people in your life that can play a musical instrument. You probably don’t know many people, right? Well, this is a very sad truth because those few who can play a musical instrument certainly are a whole lot more interesting. Boosts memory – Learning to play is great practice for the mind and especially for developing the memory. Teaches perseverance – Children learn that their perseverance will eventually pay off which teaches them a very valuable lesson for the future. Develops fine motor skills – Musical instruments are great for improving hand and eye coordination and especially for developing fine motor skills in children since those instruments can often be so tricky to play. Improves concentration – Just about any musical instrument requires a lot of concentration. With regular lessons or play time children develop their concentration a lot. Self-expression – They learn to express their emotions through music which is a much healthier way than through bad attitudes or temper tantrums. Boosted social skills – The ability to play a musical instrument gives your child that extra step above all the rest and makes him or her a lot more interesting and fun to socialize with. How to choose the right instrument for your child? While music can make a huge difference in the life of your child, it is also important to choose the right instrument. Something that is just too hard to grasp simply won’t do and will only frustrate your child. It is always best to focus on the easiest instrument to learn when your child is just starting out in music. They will feel a lot more proud and willing to play when the instrument is easy to understand and use.